UPDATE: You will also be able to download Crazy Mouse. Fight for fortune and infamy in Age of Booty, Certain Affinity and Capcom’s game of pirate strategy and cannon-blasting action that’s fun for all ages. Sail the high seas alone or with friends as you build your pirate empire by plundering villages, sinking ships, and sending your enemies to the briny deep! Acclaimed developer: Age of Booty was developed in collaboration with Max Hoberman, designer of the multiplayer game for Halo 2 and Halo 3. Deep strategy: With 25 multiplayer maps and a fully-featured map editor, Age of Booty features easy-to-play game mechanics with deep multiplayer strategy. 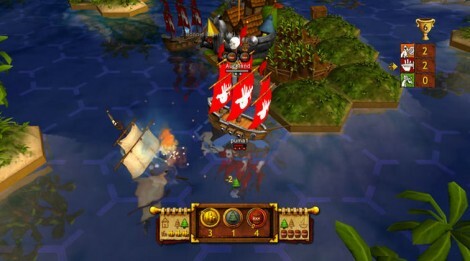 Multiplayer gameplay: Jump into pirate fun with up to four players on one console, and up to eight players over System Link or Xbox LIVE®. You can also play the free trial version online! Crazy Mouse, the first original Xbox LIVE® Arcade title from mainland China, is a class arcade-style action game. Easy to pick up but tough to beat, Crazy Mouse features unique, funny characters and highly addictive gameplay. More than 30 single-player levels provide a variety of action and strategic challenges, and 16 multiplayer levels ratchet up the fun by supporting cooperative, competitive, tournament, and ranked play. Crazy Mouse is always a party, whether you’re playing online or alone! 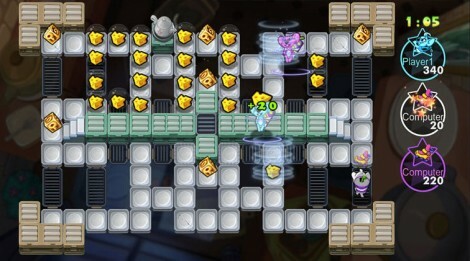 Inviting gameplay: Crazy Mouse features easy pick-up and play controls, funny characters, simple rules, and diverse levels. Online extras: Crazy Mouse supports Xbox LIVE multiplayer matches and ranked matches.